Allen Lanier, a founding member of Blue Oyster Cult, has died at 67 after being hospitalized with chronic obstructive pulmonary disease, according to the band’s Facebook page. Lanier, who was best known as a keyboardist with the band, also was an accomplished guitar player. 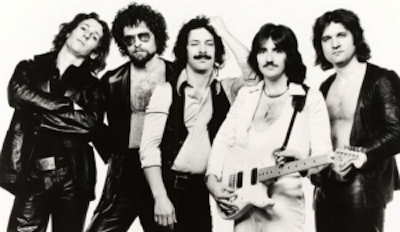 Except for a two-year absence in the 1980s, Lanier was a member of Blue Oyster Cult beginning with their inception in 1967 until his retirement in 2006. He co-wrote several BOC songs, including Tenderloin, True Confessions and Lonely Teardrops. Lanier also contributed to music by Patti Smith, Jim Carroll, the Dictators and the Clash, among others. He dated Smith for several years during the ’70s. Lanier joined his former bandmates in New York late last year (November 2012) during a concert commemorating the release of a career-spanning box set by Blue Oyster Cult. Lanier, who was born June 25, 1946, lived in New York City. RIP Allen – a terrific musician and very under-rated keyboard player. Listen to his keyboard solos on Buck’s Boogie, Flaming Telepaths, and beginning of Joan Crawford. Awesome fill work as well with such songs as Career of Evil, Take Me Away, Veterans of Psychic War, Astronomy, etc….